Clean gear from brands such as Kelty, Osprey, MSR, JetBoil, and more! Found rental gear cheaper elsewhere? We will beat their price by 10%! Don’t buy items when you can rent from us with our low price guarantee! By clicking the above button, you will be redirected to our rental site that is operated by Wilderness Trio, LLC. If you live in Concord, Walnut Creek, Martinez, Antioch, Brentwood, Discovery Bay, Dublin, Pleasanton, Sf, Livermore, Oakland, Berkeley, or Emeryville we want to be the source for all of your wilderness, camping, backpacking, and hiking rental needs! FLy into San Francisco International Airport and get your gear from Wilderness trio! 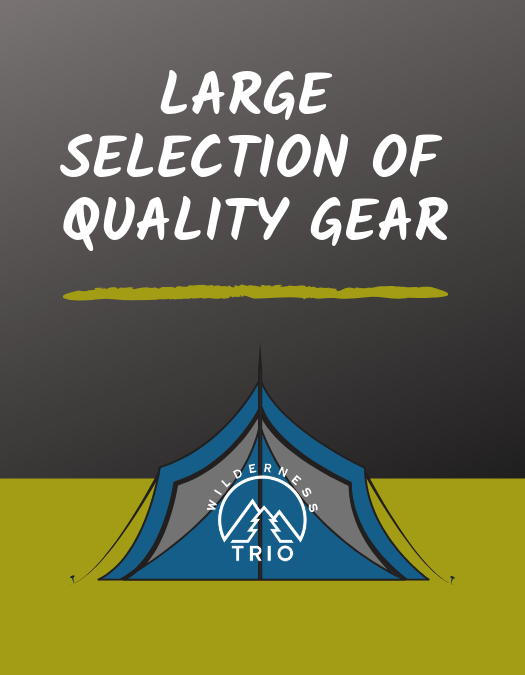 Wilderness Trio Gear Rentals: Home of Concord’s largest variety of rental camping and backpacking gear! We proudly provide rental backpacks, tents, sleeping bags, sleeping pads, small portable chairs, hammocks, stoves, bear cans, and even snowshoes! 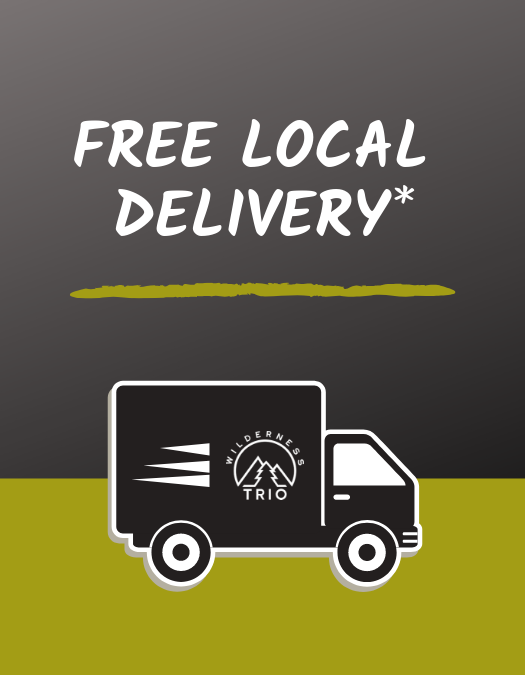 Free delivery within East Bay* and North bay for orders over $59!